G20JusticeRide | We are cycling across Canada asking the federal government for an independent inquiry into the G20. John Pruyn being dragged away after his artificial leg was ripped off on June 26th, 2010. ****RCMP Calgary Update**** On September 8th the Calgary RCMP got back to us. Thank you to the officer who responded to us. Now we need to get a contact person from the Ottawa RCMP. If any readers have any idea of who would listen to us at the Ottawa RCMP please email us at g20juticeride@gmail.com. As soon as we arrived to the province a clerk at a corner store said “this is New Brunswick. Everyone will be nice.” And everyone was. It’s beautiful country. New Brunswick has steep long hills with thin crumbling shoulders and stiff valley winds. Unfortunately headwinds for us. They were exhausting and it took us longer than expected to get through the province. Two weeks later and we are still waiting to hear back from them. Atleast they didn’t arrest us. 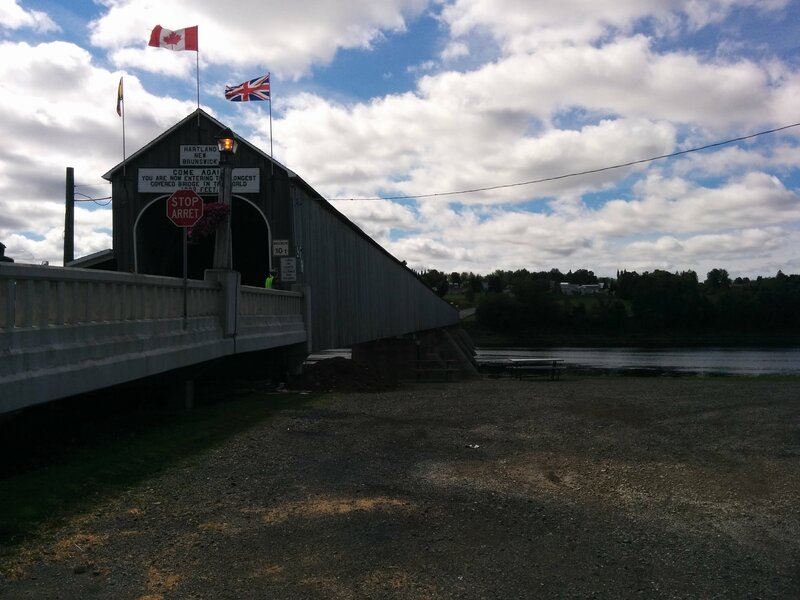 Did you know the longest covered bridge in the world is in Hartland New Brunswick? We rode through it- it was over one thousand feet. 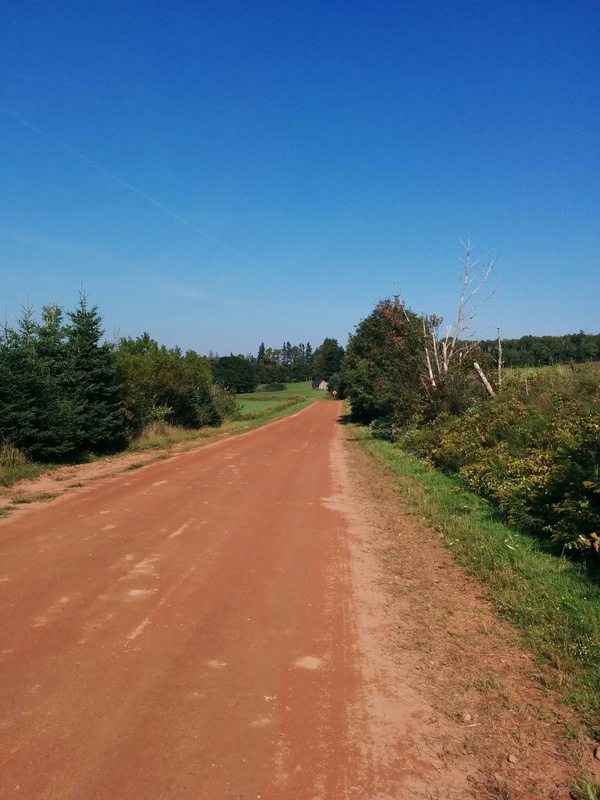 We saw some of the beautiful red PEI roads. 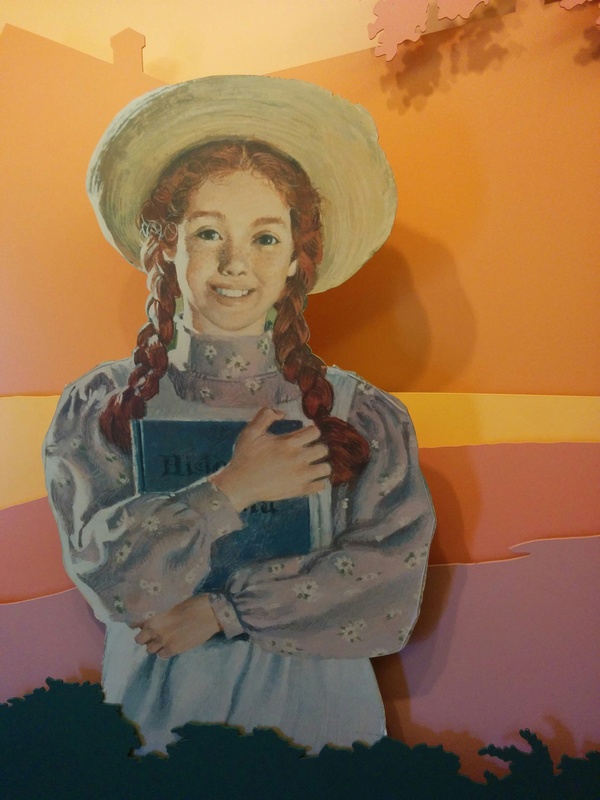 Riding to Cavendish we visited the home of Lucy Maud Montgomery and even met Anne Of Green Gables. I hope nothing but the best luck for your ride I hope that you do well and that you make out well and spread a great message across the country for everyone to see. Not only will you complete your justice ride; you will also help bring down the conservatives. Have a great ride! I also am showing up as 2sugarbud. Don’t know what I did but I ended up with this as my user name instead of Lorie somehow. Just read this notice at Brock. The OPIRG has listed your event in their on-line newsletter. Congratulations. Ron thanks so much for your help. John and Sarah, on behalf of Liberty! Bicycles, I wish you the best of luck and success on your ride for Justice. You make us better. We are behind you! So proud of you John and Sarah for taking this stand. I will be there to support you 100% through your journey. me. I would love to help ypu in anyway. Good luck John, you’ve got my support %100. There has to be some accountability for the actions of the government. Let us know if there’s anything I can do. Thanks Paul, we think there should be accountability too. Wonderful, thanks for hemming them. Let’s hope you finally get some answers and can put this experience behind you. Would love to support you along the way. May have time to meet your adventure this summer. Stay strong and breathe, the journey you about to begin will be remembered forever! Yes it will. Thanks Mary Ann! All the best on this ride ahead of you. I will be following your progress and hope only that all goes well and the word goes out there for all to hear your message across CANADA! Go Get em John! Way to go John..let us know if you need anything..So proud.You and Sarah are amazing. Hey! We would love for Rupert yo be our mascot! Could you send us a picture and bio? Hello! We would love for Rupert to be our beautiful mascot. Just send us a photo and bio. Thank you Frankie! Your positivity will help us keep going. Hi John and Sarah. I hope your journey has been great so far. I hear that you had to out cycle a BC forest fire! Yikes. I hope you get the recognition and apology that you both deserve. Keep healthy as you continue your cycling. We also met a news anchor global news covering the forest fire. A very exciting day! Tell us about your ride, where are you????? He started in Alaska. I guess he wanted to do all the A names. Hi John & Sarah! How are things? Getting back to you soon with pictures of our kitty, Rupert. He had his surgery yesterday morning and we were able to pick him up today. Rupert is one tough cat who is now our amazing, tri-pawed furry, little man. We’ve dubbed him Mega Kitty! So happy to have him home again! May the wind stay at your back. No bears yet thank goodness. Also befriended a cute little rodent. Hi John and Sarah, really great to see the ride is going smooth. Need more pictures of your fantastic voyage. We are in Alberta! Our next blog post will just be pictures, especially of the mountain goats we met. It is so far- thanks a lot! Hey John and Sarah. I just watched your video of your attempt at a visit with the PM’s office. Actually, I’m not surprised at all about what you found. This control freak that is our Prime Minister is too scared to let anything unscheduled happen that might make him and his party look bad. Hopefully people will wake up for this next election and realize what you two sadly found out 5 years ago. That this man thinks he can do whatever he wants regardless of what the people want. Keep going strong on your journey. Hi John and Sarah, been following your shocking G20 story. Are you going to local newspapers and TV stations along the way? This is an important story especially during this election year. Hope you get more press. Good luck! Yes we are contacting newspapers and TV stations along the way. Things should really pick up when we hit Ontario. Today we are going to make it to Manitoba. You Guys Are Amazing! Never Mind The Weather! At Least It’s Not The Mini-Ice Age! Talk To You Soon! John, appreciate what you’re doing. Many thanks. You’re looking to be in very good shape – ripped in fact. Holding Harpo to account must be agreeing with you. Thanks we need it! Bless you. Thank you Peter. This is an important issue and we need to keep it alive. Come On People Of Ontario…John and Sarah Are Cycling Across Canada For G20 Justice! They’re Crossing As We Tie Our Shoelaces! All the best in your healing and your ride. All the best to your success! I heard on CFRB1010 that you’re in Toronto. If you’re able to please join us tomorrow (Wed. Aug. 19, 2015) as Toronto Takes To The Streets and share your healing ride with the public . Toronto takes to the streets! Toronto, August 18, 2015 – On Wednesday, August 19, 2015 Toronto will take to the streets in their communities at 8pm. This is Toronto’s Solidarity Stance across the city to stop the Charter breaching practice of street checks aka carding. Who: Toronto Takes To The Streets. Solidarity stance against street checks aka carding. When/Where: 6pm – Silent peaceful group protest march starting at Osgoode Hall, University & Queen Street (Osgoode subway station). The silent march will travel northbound along University Avenue to Queen’s Park. 8pm – Solidarity Stance – Standing with community as community against street checks aka carding. We are tired of talking, consultations, meetings, etc… Uphold the Charter! Stop street checks aka carding! We all want to be able to live & thrive! Feel free to make your own signs. Please promote community. Share this. See you in solidarity on Wednesday. EVER SINCE YA ALL LEFT TOWN HERE, BEEN PRAYIN’ FER YA GUYS DAILY…….APPEARS TO BE WORKIN’ AS GOD STILL HAS YOU BOTH MOVIN’ ALONG QUITE NICELY. BLESSINGS BOB OLYNYK…… PORTAGE la PRAIRIE, MAN. Thank you so much for writing. It means the world to us. Bless your heart! You two flew through Ontario so fast we couldn’t catch up to you. We were very happy about this. It can be next to impossible to convict a police officer. We will keep going strong! We are cycling across Canada asking the federal government for an independent inquiry into the G20.